Love is definitely in the air when Feb. 14 rolls around on the calendar and Valentine’s Day officially arrives. Some star couples have even decided to swap vows on what’s considered the most romantic day of the year, while others have used the opportunity to pop the question. In fact, a whole bunch of celebrities have gotten married or engaged on Valentine’s Day. Who decided to take the plunge on the lovey-dovey-est day of the year? If you take a look at some of the celebrities who decided to pledge their love to their forever valentine on this day, it worked out for approximately half of them. Find out who is still together and who made Hollywood relationship history. This list might make you decide to celebrate your wedding on this super-romantic day or it might make you pick a date without so much pressure. Ahead, celeb couples whose engagements or vows were blessed (or not) by Cupid himself. 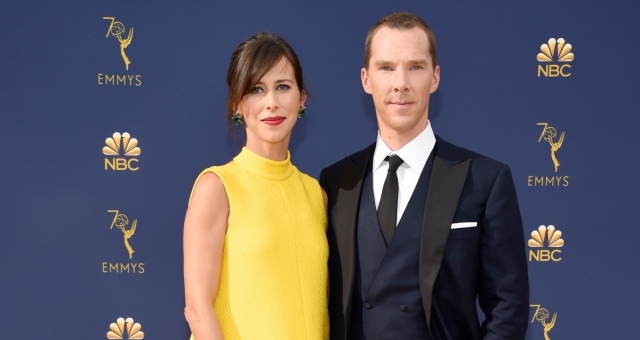 Benedict Cumberbatch fans, aka “Cumberbitches,” collectively mourned on Valentine’s Day 2015 when he married theater director Sophie Hunter. There was also a third family member in attendance, as Hunter was pregnant with their first son, Christopher, who was born four months later. The couple had their second son, Hal, in March 2017. In 2009, Victoria’s Secret Angel Adriana Lima married NBA player Marko Jaric on Valentine’s Day in Jackson Hole, Wyoming. The couple had two daughters together before announcing their separation after five years of marriage. Their divorce was finalized in 2016. 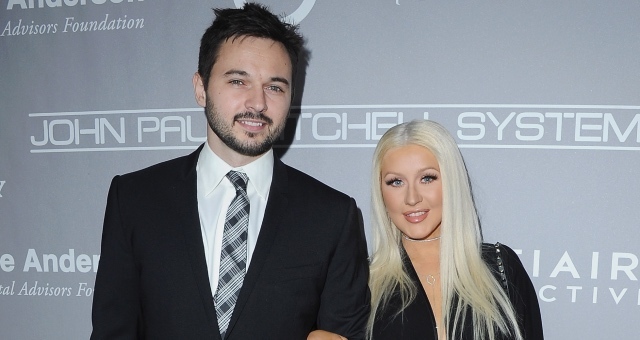 Christina Aguilera got engaged on Valentine’s Day 2014 to Burlesque production assistant Matthew Rutler. He proposed while they were on vacation with a big, beautiful ring. As of 2019, the duo has not walked down the aisle, but they did have daughter, Summer Rain Rutler, in August 2014. Image: Eric CATARINA/Gamma-Rapho via Getty Images. 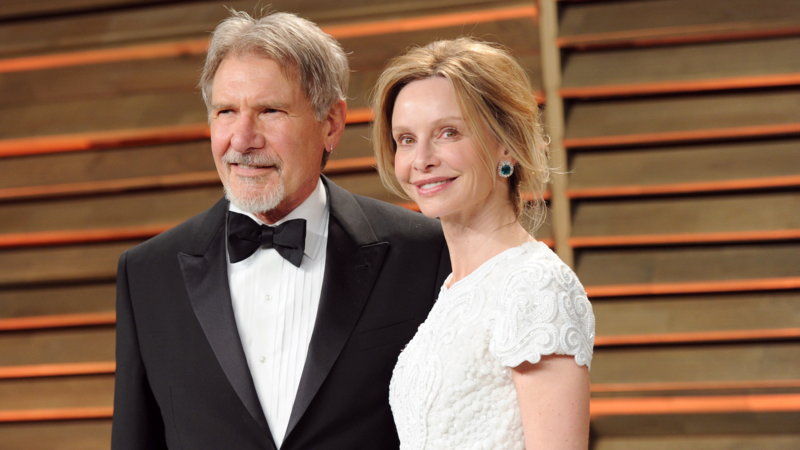 Harrison Ford asked for Calista Flockhart’s hand in marriage on Valentine’s Day 2009. They dated for seven years before he popped the question. They have now been married for close to nine years, and Ford adopted Flockhart’s son, Liam. Image: Jimi Celeste/Patrick McMullan via Getty Images. 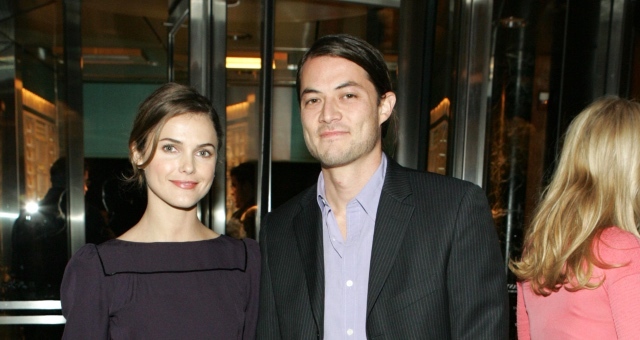 Keri Russell married carpenter Shane Deary on Valentine’s Day 2007. Together, they had two children, son River Russell in 2007 and daughter Willa Lou in 2011. They separated in summer 2013 and later divorced. Russell has been in a relationship with her Americans costar Matthew Rhys since late 2013. They had a son, Sam Evans, in 2016. 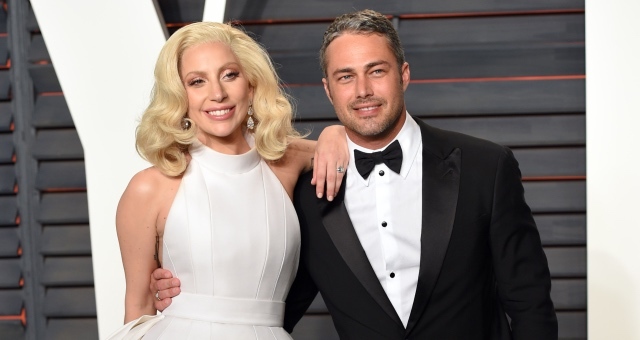 Lady Gaga and actor Taylor Kinney dated for three years before he popped the question on Valentine’s Day in 2015. The duo called it quits in July 2016, but Gaga didn’t stay single for long. She’s now engaged to Creative Artists Agency agent Christian Carino. Rumors of their engagement surfaced in fall 2017, but she didn’t confirm the news until fall 2018. Image: Ron Galella, Ltd./FilmMagic/Getty Images. In 1991, America’s rom-com sweetheart Meg Ryan married Dennis Quaid in a ceremony on Valentine’s Day at the Bel-Air Hotel. They had one child, Jack, together in 1992. They separated in 2000 and divorced in 2001. Roseanne Barr married her third husband, personal bodyguard Ben Thomas, on Feb. 14, 1995. They walked down the aisle at Caesars Tahoe in California and had a reception at Planet Hollywood. The couple had one son, Buck, in 1996, but they divorced in 2002. Is there anything more romantic than getting married on Valentine’s Day in Paris? That’s exactly what Salma Hayek and French billionaire François-Henri Pinault did at the Saint Germain town hall in 2009. If one ceremony wasn’t enough, they got married a second time in Venice, Italy, just months later. Their daughter, Valentina Paloma Pinault, was born in September 2007. 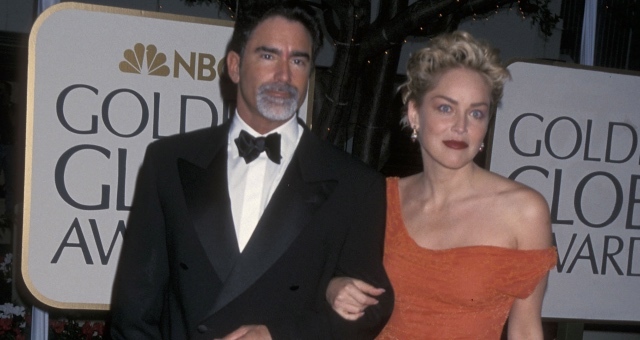 Phil Bronstein didn’t wait too long to marry Sharon Stone on Valentine’s Day 1998. In fact, the couple skipped the engagement altogether and headed straight down the aisle after nine months of dating. They have one adopted son, Roan. The duo divorced in 2003. Image: Paras Griffin/Getty Images for BET. 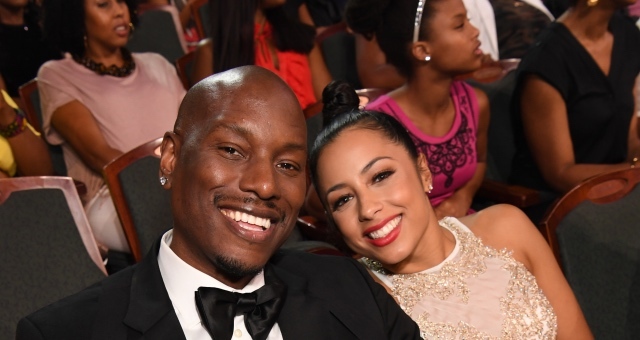 Tyrese is pretty private about his personal life, but he did share a few snaps on his Instagram account after he married Samantha Lee on Valentine’s Day in 2017. Those photos have now been removed after revealing a few special moments from his secret ceremony. The couple is still going strong, and they welcomed daughter Shayla Somer in 2018. 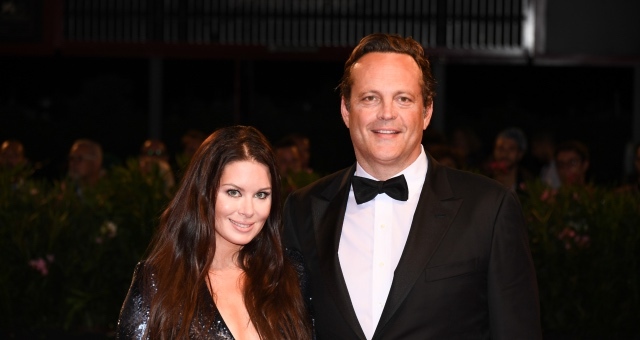 Vince Vaughn gave up his Swingers swagger in 2009 when he proposed to Canadian real estate agent Kyla Weber on Valentine’s Day. The couple married a year later, and they have two children, daughter Locklyn Kyla (2010) and son Vernon Lindsay (2013).